Purchase Android Auto™ and AppleCarPlay™ integration for your Mazda. Service includes: Change engine oil and filter, inspect all fluid levels and tire pressures, perform multi-point inspection. 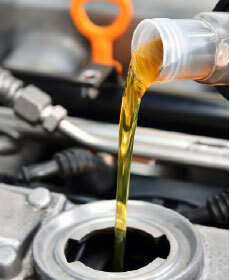 off your next synthetic oil change. Plus applicable taxes. Valid only at STOKES MAZDA. Cannot be used with any other applicable offer. Mazda vehicles only. Prices may vary by model. Hazardous waste fee if applicable. Please present coupon at time of write-up. Coupon expires 07/07/2019. Escape the heat...keep your air conditioning system working at its optimum level. the 4th matching tire for only $1! to your vehicle's overall performance. technicians install a new Mazda Battery.